Was Nirav Modi trying to route some overseas funds into India to get reprieve from Indian banks? Why was he pumping back money into India from overseas? Was it the same money that he siphoned off via letter of credit (LoU) and was trying to placate Indian banks by paying the interest or commission portion. NRI Nirav Modi's Indian company allotted 750 equity shares of Rs 10 each at an incredible premium of Rs 14,21,702 per share totalling Rs 106 crore. There are some suspicious corporate developments at one of Nirav Modi's companies ANM Enterprises, which indicates some sort of an urgency on the part of fraudster Modi to remit funds into India from overseas. The details are very sketchy. Modi's ANM Enterprises made a hurried private placement through an extraordinary general meeting in November last year for issuing shares at a unbelievable Rs 14,21,702 per share. Yes, the premium per share was Rs 14.21 lakh per share. The company passed a resolution on November 6, 2017, to allot 750 equity shares of Rs 10 each at a premium of Rs 14,21,702 per share totalling Rs 106 crore. Modi, as an NRI promoter, had 99.91 per cent shareholding in the company. The valuation done by an outside consultant, Corporate Professional, which is a Sebi registered Category-I merchant banker, has lot to answer. The valuation report, a copy of which is with Business Today, shows that the merchant banker has taken the 'Adjusted Net Value method' to calculate the value of shares. According to valuation report, the shareholders' funds are taken as Rs 26.19 crore and 'appreciation in the value of shares in group company Firestar International was taken as a whopping Rs 1394 crore. Both were added up to arrive at a premium of Rs 14,21,712 per share. There are no details on the valuation report of Firestar International. How did Corporate Professionals arrive at a 'appreciation in the value of investments' in Firestar International? The resolution also talked about keeping the money received from NRI Modi in a separate account opened with Oriental Bank of Commerce (OBC), Cuffe Parade branch. In fact, one of the objects of making a preferential allotment was to repay the loan. 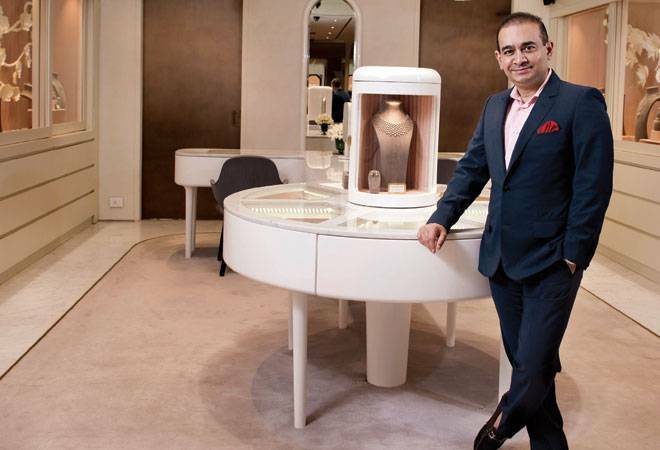 Similarly, Nirav Modi subscribed to some 37,00,000 compulsory convertible debentures (CCD) of value of Rs 100 per debenture. The value was Rs 37 crore. The CCD carried a zero per cent interest with a validity of 10 years. Similarly, Modi was planning to make a public issue in its Firestar International. Was he trying to tide over some liquidity crisis as the noose was tightening with banks not ready to advance him more funds for working capital and other term loans? Were Indian banks aware of Nirav Modi's changed status as NRI?